Janssons Frestelse or Jansson’s Temptation is a classic Swedish dish. 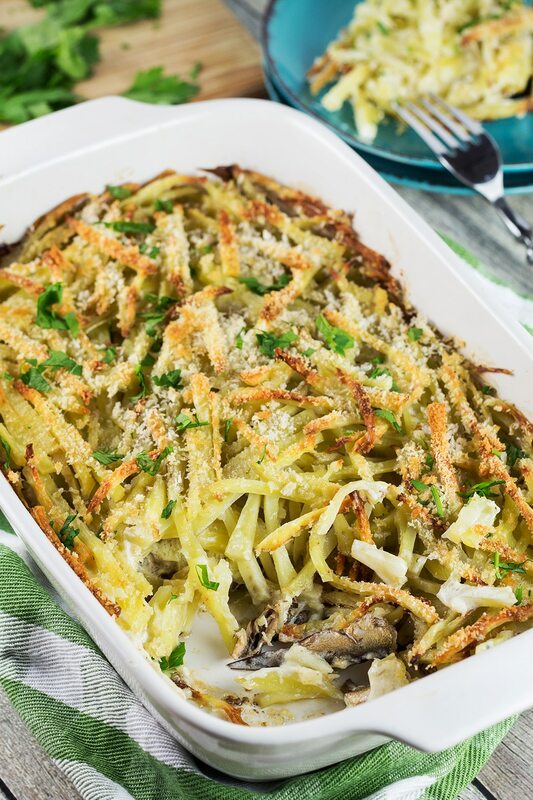 This creamy potato and sprat casserole is a part of the Swedish Christmas table but is perfect any time of the year. Filling enough to be served as a main dish, it’s also great with roasted meats. 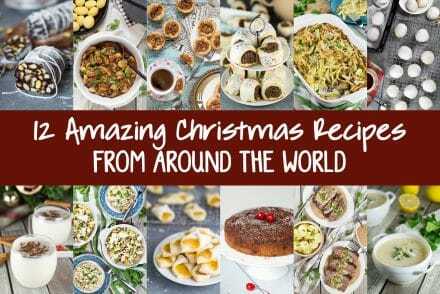 Christmas is only two weeks away and I continue exploring traditional holiday foods of various countries all around the globe. This time we are going to Sweden to taste not-your-ordinary Christmas table dish called Janssons Frestelse in Swedish or Jansson’s Temptation in English. The name, despite the fact that it’s really interesting (more about it later), doesn’t say anything about the actual dish at all! 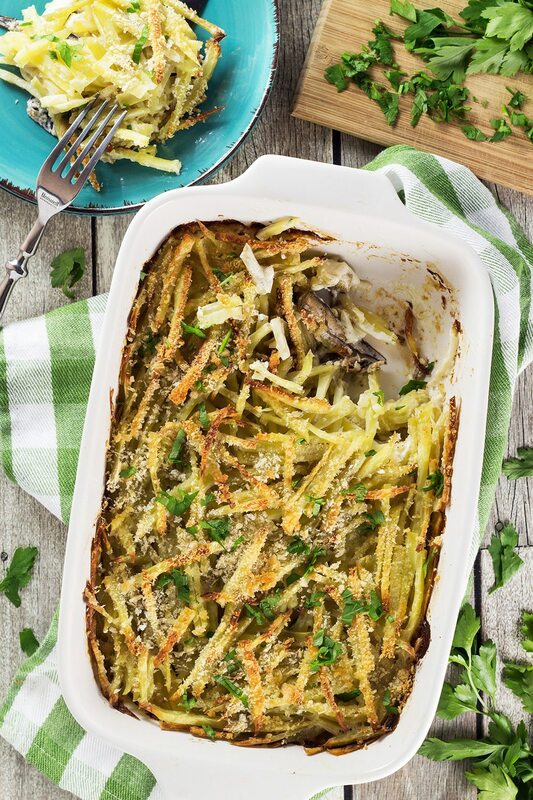 It’s a creamy potato and pickled sprat (so-called Swedish anchovy) casserole topped with crispy breadcrumbs. Yes, that’s what Swedes have for Christmas and they freaking love it. 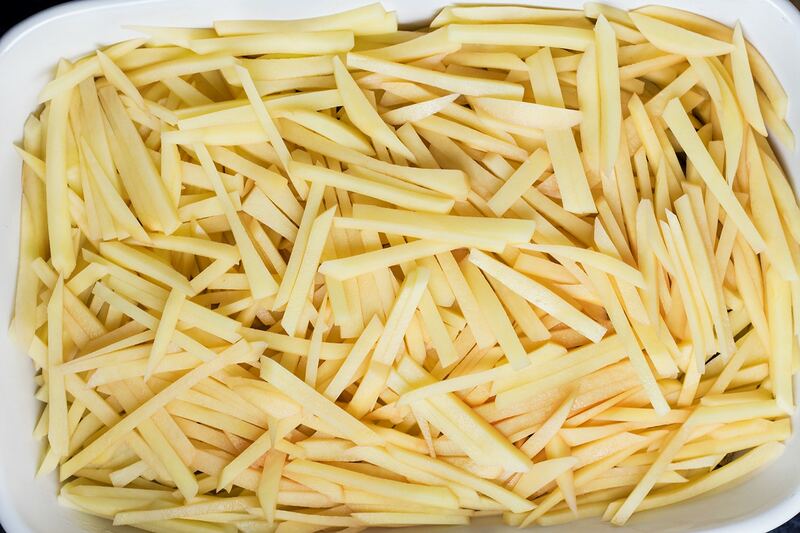 The secret to a well-made Janssons Frestelse is thinly sliced potatoes. They have to be cut into 1/4 inch (1/2 cm) strips and let me tell you, it can take some time. On the other hand, cutting potatoes and slicing an onion are the only things you have to do when preparing this dish. It’s really easy and quick to make! By the way, you can use a mandoline slicer to make life easier. Alright, the name. The origins of the name Janssons Frestelse are uncertain, or should I say confusing. I found 3(!) different stories behind it. The first one says that the dish was named after a religious fanatic Eric Jansson who followed an austere life but couldn’t resist a potato and onion gratin packed with sprats when he was served with it in 1846. Another version states that the name of the dish originated with the twentieth-century opera singer and gourmand Pelle Janzon. The third story tells us that Jansson’s Temptation was named after a movie with the same name Janssons frestelse, shot in 1928. I don’t know where the truth is and I am not sure if it matters so much. The only thing that matters is a taste of the dish and it’s amazing! Now let me tell you a few words about the cornerstone of Janssons Frestelse – pickled sprats. I am pretty sure that for some of you, it’s an unknown territory and you haven’t ever tried them in your whole life. For me, sprats can be considered as a staple. No, I don’t eat them every single day but it’s something I grew up with. These little pickled fish were popular in the Soviet Union and after its collapse, their popularity didn’t go anywhere. 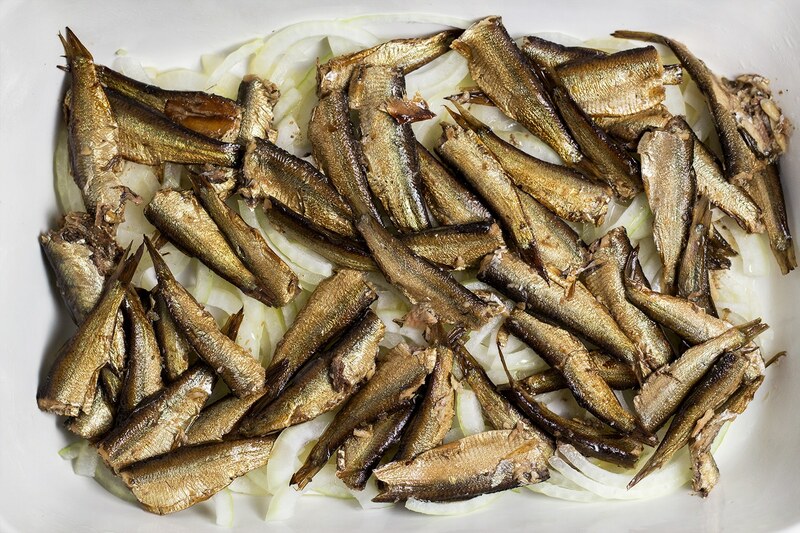 Sometimes, sprats are referred as Swedish anchovies because that’s how they are named in the language of this Scandinavian country – ansjovis. Sounds similar, right? That’s why many people make a fat, big, dish-ruining mistake here. They buy a bunch of well-known-to-us salted anchovies and throw them in Jansson’s Temptation. We need 9 oz. (250g) sprats for this recipe. Can you imagine the taste of the dish after adding so many anchovies? A yearly intake of salt in one meal! Sprats are way milder, I mean WAY milder than their counterparts so be careful when choosing fish for this recipe. If you have a hard time finding sprats, try checking out Ikea. I am pretty sure they have them. Or you can use matjes herring instead. 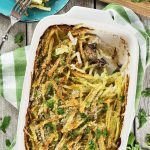 Janssons Frestelse is filling enough to be served as a main meal but it also works great as a side dish with roasted meats. Oh, and of course it doesn’t necessary have to be served for Christmas. Feel free to enjoy it any time of the year! This classic potato casserole, coming from Sweden, is not your ordinary casserole. It features Swedish anchovies (sprats)! Preheat an oven to 450 °F (225°C). Remove the sprats from the tin, reserving the liquid. Mix this liquid with the heavy cream. Grease a large baking dish. Place a layer of the onions on the bottom. Follow with a layer of the sprats. Finish with a layer of the potatoes. Pour the cream and sprat liquid mixture over the top. Sprinkle with breadcrumbs or panko. Finally, arrange the butter pieces on top. Bake for 40 minutes. Enjoy! I’ve never seen this before, but I’m glad I found it! This potato casserole sounds incredible! 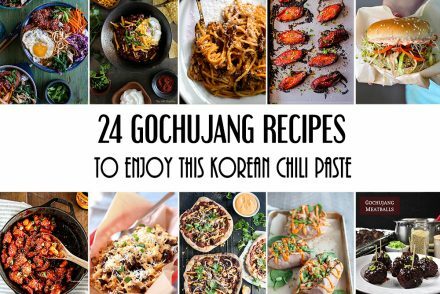 I love trying new dishes, thank you so much! Like I love to say, you may love it or you may hate it but you HAVE to try it! Well, you’re right – that’s interesting. Haha! I seriously love the potatoes & onions, but I don’t know about those sprats… 😉 You did a good job of making it look delicious, though! 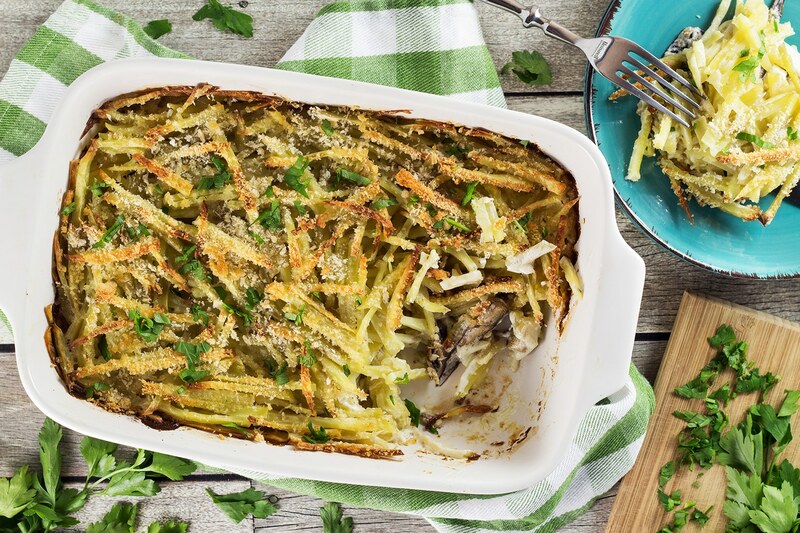 This beautiful potato and sprat casserole looks so delicious! It would be such a simple dinner to serve with a salad and some crusty bread on the side. Yum! What an unusual and lovely dish! You don’t find many recipes here that call for anchovies. BTW – what makes a Swedish anchovy Swedish? Is there passport verification? 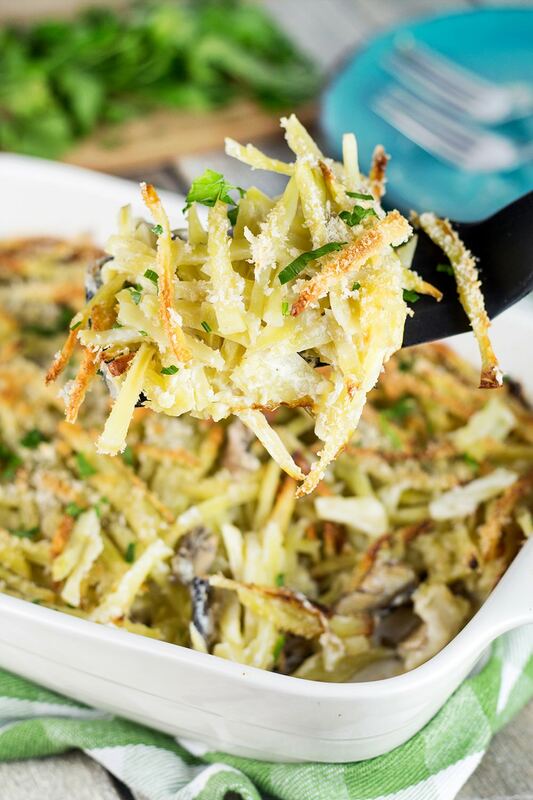 What a unique casserole, thanks for sharing this recipe! My husband and son love sardines, I’m curious if they would like anchovies! 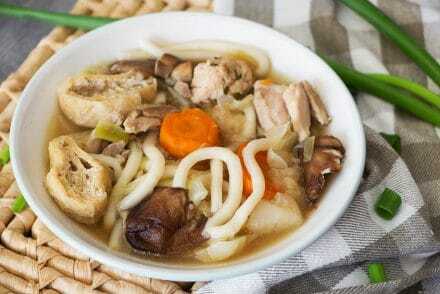 I have friends from Iceland who make something similar to this dish. I always love it when they make this!